Enjoy the gleam of artistry that surrounds this Vari-hued Artsy Designer Cotton Long tunic for Occasion Wear by Snehal Creations. 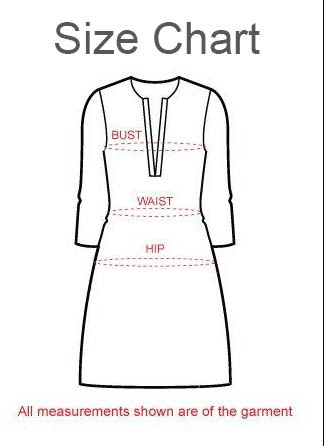 This tunic design has been structured to support a round neck followed by contrast buttoned gala Patti. A matching taping also surrounds the three quarter sleeves. The print of the tunic is vivid and full of life. It depicts a colorful version of the musical instruments “tabla” on the main body.